…but before she does, let’s just stress one key point: The rats used in BarnHunt are equally trained for their part in the game, and enjoy their job. They are at all times safe and kept in specially made PCV containers which they go into of their own accord. When they are in a cage, you can actually see them come forward and greet the dogs when found. Rats are curious and smart animals. At NO time are the rats harmed in BarnHunt which is rather a fun activity for all. Never are the dogs encouraged to harm an animal – only to seek them out, indicate where they are and then be rewarded. Barnhunt is based on the hunting and teamwork skills used by ‘Rat Catchers’ who traveled around the countryside to rid farms of vermin. In doing so, the rat catchers helped to preserve grains and protect people from disease. With the Stabyhouns mole hunting ability in the Netherlands and other counties, they seem to naturals’ of the sport. The purpose of BarnHunt is to demonstrate a dog’s vermin hunting skills in finding and indicating a rat has been found. It’s normally held in “barn-like” settings, using straw bales. Success depends on the innate hunting instinct and the ability of the handler to understand/read their dog when it indicates the rat. 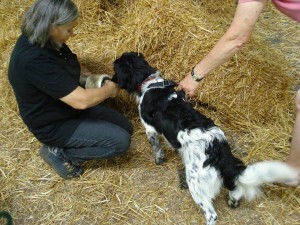 Even if a handler spots a tube in the straw, the handler must rely on their dog to “tell them” they found the rat. Talk about teamwork! 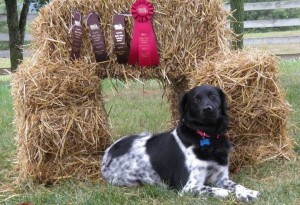 To compete in BarnHunt, the dog must climb a bale of hay, go thru a tunnel made of hay and indicate the location of the live rat hidden on the course. The dog must complete all three elements to receive a qualifying score. At the beginning level, there are three tubes on the course, one plain tube, one tube with used rat litter, and one with a live rat. The handler must do all three elements within a two minute timeframe. Higher levels require more qualifying scores, the tunnels become more complex, and the number of rats increase all within the timeframe of the competition level. You don’t need a barn, hay bale or rat to get started in Barnhunt. 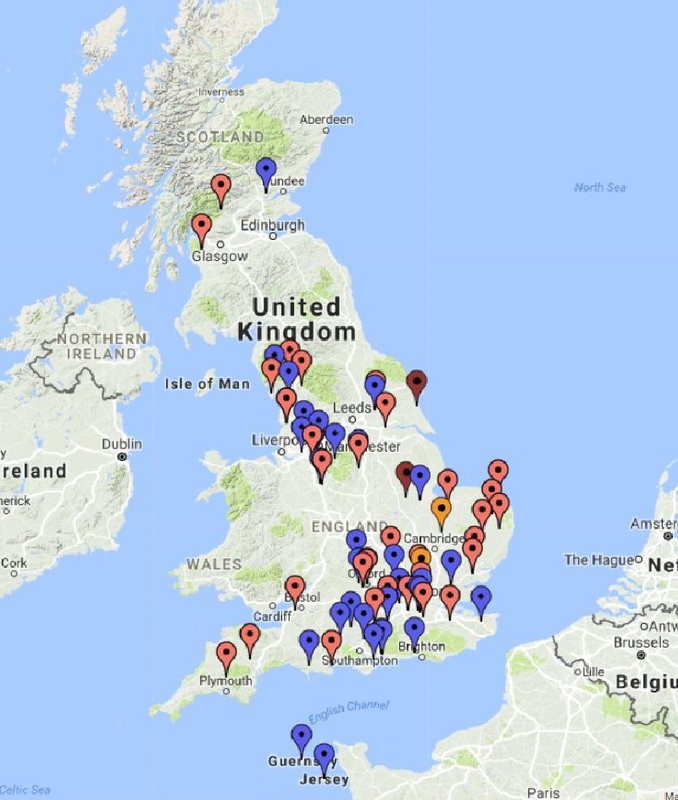 There are many locations to see if your dog has a “nose” for the sport. ..Like a walk in a field, a farm or maybe your own yard if you have moles. *Rats are enclosed in PVC containers and well cared for. In fact, most rats used in BarnHunt enjoy their job and are family pets.